You knew I wouldn’t be able to resist immediately using some of the new Hope Valley in a quilt, didn’t you? The back is primarily a lovely Amy Butler solid, with a little pieced section at the top (I love that yellow print!). I quilted it simply, just following the zig zags 1/4″ from each seam, and used the yellow solid for the binding. It measures about 32″ x 37″ and is now for sale in the shop! Sold! Thanks so much Tiff! 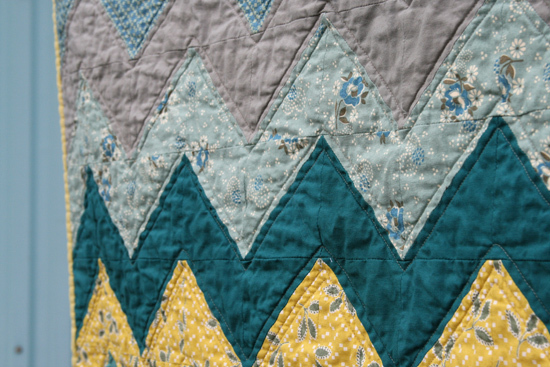 This entry was posted in [search] Zig Zag Quilts, 2009 Finished Quilts, Finished Quilts, Posts about Quilts, Quilts and tagged denyse schmidt, handmade, hope valley, quilt, quilting, zig zag. Bookmark the permalink. Oh Ashley, this is so so beautiful. Every time I start yet another quilt top I tell myself I have a long way to go if I’m going to catch up with you! Wow, I wasn’t sure I loved the hope valley line until I saw this! Now, I definitely want to run out and order some! Gorgeous as always Ashley! You’re right — it totally has a vintage, old-timey feel to it. Love it! Those are the colours I want in our basement when we eventually finish it. What a great project to showcase the fabric. I absolutely love it! I love the colors! And I love the zig zag!! I am also making a zig zag quilt right now. 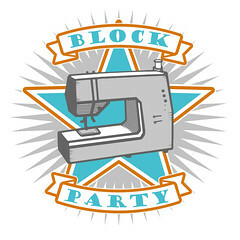 (I just blogged about it yesterday at alenajo.blogspot.com) I was actually inspired by one of your zig zag quilts. I am using moda’s figgy pudding for my quilt. 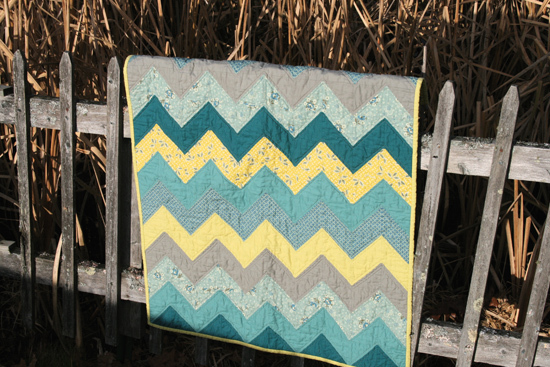 Again, I love your beautiful zig zag quilt! 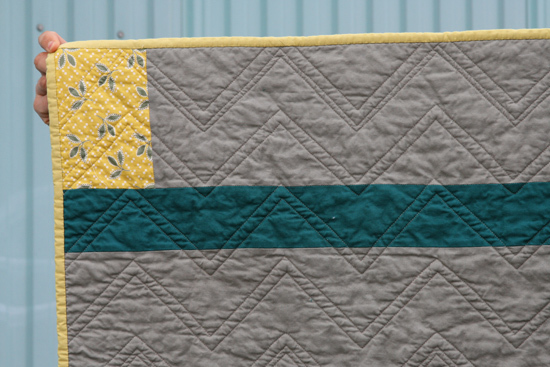 I love grey and teal together – really pretty quilt! Love it. The colors are vibrant without being bright. Exactly what Sarah said! Wow! Completely gorgeous. Woman, you are speedy! Very nice. I like Hope Valley better now then in the FQ stack. Nice job. beautiful! i love those fabrics! i love this, and the muted colors too! Love the colors!! You really are amazing with all you get done!! I can’t wait to get my hands on that fabric!! Love the quilt!! Love. I need to make a zig zag quilt. Can’t wait to see this fabric line. Lovely! I could have used that yellow today? When OH When is that line coming out??!? Oh my goodness, does it get any better!? That’s just beautiful … you continue to amaze me. ohhh, gorgeous quilt! I want to get my hands on those fabrics fast!! Ashley, I have to tell you how much of an inspiration you are. 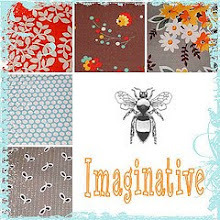 Seriously, every few days I check out your latest and greatest, with pen in hand, I jot down loads of ideas, colour combos, patterns, quilting ideas – I am never disappointed! Hi Ashley, love your quilt! 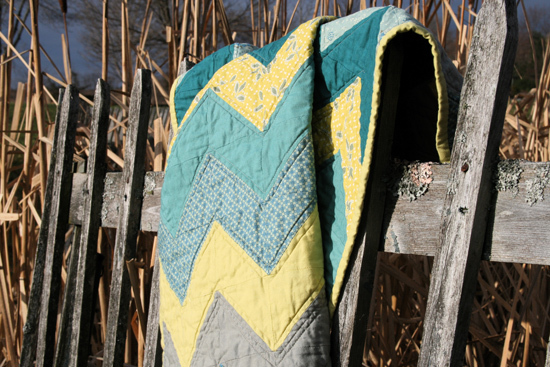 I wondered if you’d consider putting together a tutorial for your zig-zag quilts? I am in love with this stunning quilt! These are so “my” colors!